Hashem is angered that Moshe hits the rock instead of following His specific instruction to speak to the rock. “Hashem said to Moshe and Aharon: Because you did not believe in me to sanctify me in the eyes of the Children of Israel, therefore you will not bring this congregation to the land which I have given them.” [ibid 20:12]. Here, Rashi explains that Hashem is saying, “Had you spoken to the rock, and it would have brought forth water, I would have been sanctified before the eyes of the Assembly, and they would have said ‘Just as this rock, which neither speaks nor hears and does not need sustenance nevertheless fulfills the will of Hashem, how much more so should we fulfill His word.’” [Rashi, ibid]. At first glance, this seems difficult to understand. When Moshe hits the rock, it still brings forth water. Given that the Children of Israel do not know that Hashem commanded Moshe to speak to the rock, surely, whether Moshe hits the rock or speaks to it, they see the rock produce water and deduce that if a rock obeys Hashem, how much more so should humans obey Him. What is the special significance of speaking to the rock? Why can’t the same message come across though hitting it? ... without any fresh miracle, simply with a word from you, you are to provide them with a sufficiency for their undeniably present requirements. This manner of obtaining the water would have convinced the people of the deep wrong they had done in accusing Moshe and Aharon of leading them to this waterless place against the will of Hashem; whereas water gushing forth only as a result of a blow could still leave room for the assumption that their having been led into the wilderness of Tzin was originally a wilful arbitrary act on the part of Moshe and Aharon and only subsequently their justified revolt and their pressing need brought about the merciful miracle of Hashem. Note that the first time in Beshalach he was instructed to hit the rock to show that this was an explicit miracle by Hashem just as the makos in Mitzraim or the splitting of the Yam Suf which also used the mateh. Rabbi Sorotzkin in Oznayim Latorah states that the speaking actually was not to the rock but was to teach the Bnai Yisrael Torah and to raise their spiritual level to the point that they would have deserved the miracle of the water coming from the rock themselves (with no further action by Moshe). Moshe was to take the mateh as a "Plan B" only if Bnai Yisrael could not reach that level. The error was that he concluded that Bnai Yisrael could not be raised to that level and he required the explicit miracle of hitting the rock. This should have been delayed until after he had attempted to raise the Bnai Yisrael to that level. Note that this also explains why Moshe Rabbeinu was instructed to hit the rock in Beshalach, since they were not yet at the higher level. יען לא האמנתם בי ארבע חטאות כתובין כאן לא האמנתם, לא קדשתם, מעלתם, מריתם, לא האמנתם שלא אמרתי לכם להכות והכית אותו. ולא קדשתם לעיני כל ישראל להוציא להם מים מכל סלע שרוצים, מעלתם אמרת המן הסלע הזה, מריתם ודברתם אל הסלע שנה עליו פרק אחד ועברת על דברי. The sin of “not speaking” according to the Yalkut does not mean not ordering the rock to produce water, but rather refers to the sin of not studying Torah near the rock. Moshe should have responded to the demand for water by sitting and learning! Hitting the rock to produce water undoubtedly demonstrated Hashem’s miraculous power, but it did not demonstrate the power of Torah, and it was for that specific crucial failing that Moshe was blamed. We once discussed here the amazing Chazal that says the “dibartem el ha’sela” that Moshe was supposed to do instead of hitting the rock was to learn Torah. Chasam Sofer (brief version here at the end of Shu”T E”H 121, longer version in his commentary on chumash) adds another dimension to this interpretation that he heard from the Hafla’ah. Chazal interpret the complaint of thirst in Parshas Beshalach as not just a thirst for water, but as a thirst for Torah; the takana of kri’as haTorah on Monday/Thursday was a response to this need. No longer would there be “va’yelchu shloshes yamim b’li mayim;” no longer would there be three days without public learning. The episode of mei meriva in our parsha occurred right after the death of Miriam. It was in her zechus that there was a well in the desert; with her death, the well vanished. The thirst of the people returned, but again, it was not just a thirst for water, but a thirst for Torah as well. However, this time around Moshe and Aharon were in aveilus for their sister. They could not learn torah or teach Klal Yisrael! “Lu gavan’u b’gva acheinu lifnei Hashem,” the people complained – had we died earlier, it would at least have been “lifnei Hashem,” enveloped by ruchniyus; now, we have nothing. The Midrash says the sin of Moshe and Ahraon was not learning even one perek or one halacha to satisfy their needs. Explains the Hafla’ah, they could have learned perek “eilu megalchin; they could have learned a din in hilchos aveilus. There is never a need or an excuse to completely abandon learning. The Chasam Sofer (al haTorah) adds his own two cents to this idea. Why in the earlier episode of thirst in Parshas Beshalach was Moshe commanded to hit the rock but this time he was told to speak to it? There are different ways to combat the yetzer ha’ra. One way is the brute force method – crush it into oblivion. That method is symbolized by the hitting of the rock that took place shortly after yetzi’as Mitzrayim. Forty years later a more mature Bnei Yisrael was ready to appreciate another approach to combating the yetzer – “mashcheyhu l’beis ha’medrash,” redirecting its energy to a positive goal. Moshe was supposed to engage in talmud torah to demonstrate that the stubborn rock could be harnessed for good as well. Not the answer you're looking for? 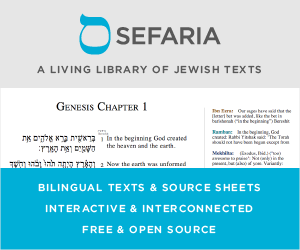 Browse other questions tagged parshanut-torah-comment parsha-torah-portion chukas .